Natural gas is Thailand's primary fuel source and is absolutely essential to the country's industries, particularly the power sector: two third's of the country's electricity is generated at gas-fired power plants. Much of Thailand's natural gas comes from gas fields in the Gulf of Thailand. It is transported throughout the country via a network of offshore and onshore pipelines built by the national gas and oil company, PTT Public Company Limited (PTT PCL). In 2005, due to economic growth and the resulting shortfall in the supply of natural gas, the country's National Energy Policy Board resolved to begin importing LNG. 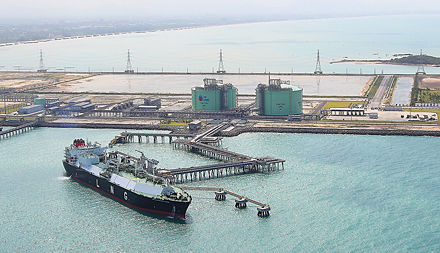 In anticipation of this policy shift, PTT PCL established PTT LNG Company Limited (PTTLNG) in 2004 and tasked it with building and operating the country's first LNG import terminal at Map Ta Phut, a deepwater port 220 km southeast of Bangkok. They send out gas to the adjacent Map Ta Phut industrial estate, which is one of Thailand's most important industrial areas and home to a number of petrochemical, oil refining, steel, and fertilizer plants. Gas also be transported via the PTT pipeline system to power companies and other important industrial customers throughout the country. Construction of the first terminal commenced in early 2008 and was completed in 2011, and the terminal began commercial operation later that year when it received its first shipment of LNG from Qatar. This terminal includes a jetty capable of receiving LNG carriers with capacities up to 264,000 m3, two 160,000 m3 full containment LNG tanks, a 5 million ton/year regasification (vaporizer) train, a boil-off gas recondensor, a sendout station, and an LNG pump. 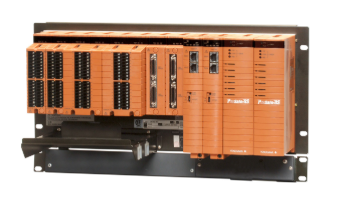 To control key terminal facilities, PTTLNG went with a Yokogawa solution consisting of the CENTUM VP production control system, ProSafe-RS safety instrumented system, OmegaLand operator training system (OTS), asset management package - Plant Resource Manager (PRM), and FOUNDATION fieldbus field digital technology. Work on this project was executed by Yokogawa, which functioned as main automation contractor (MAC). Customers all over the country rely on receiving a regular supply of gas from this LNG import terminal, which operates 24/7. It is thus absolutely essential to prevent any shutdowns or other problems that would interrupt this supply. A key asset that makes this possible is the OmegaLand OTS. In preparation for the arrival of each LNG carrier, operators in the central control room (CCR) run simulations of all key terminal processes such as offloading and regasification on the OTS. This reduces the likelihood of any mistakes and ensures smooth and safe terminal operations. Once all personnel are all fully trained and gain sufficient experience in operating this terminal, the plan is for it to operate with just six personnel on each 12 hour shift: one supervisor, one board operator, and four field operators. The transmitters, flowmeters, and control valves throughout this terminal are all FOUNDATION fieldbusenabled and can be continually monitored using the PRM solution. Alarms are issued before any device fails completely, enabling predictive maintenance that reduces maintenance costs throughout the facility lifecycle. 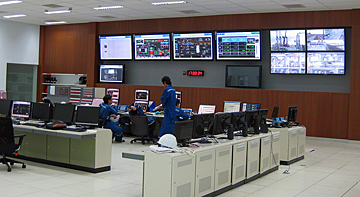 The complete integration of all systems including those at the jetty substation, laboratory, fire station, and truck loading administration room as well as 10 other subsystems via Modbus communications allows operators at the CENTUM human interface stations (HIS) in the CCR complete real-time access to information on operations throughout the terminal. This ensures that they have all the information needed to make the right decisions at the right time. PTTLNG is thus able to make maximum use of all of this terminal's assets. As this LNG import terminal is the first of its type in Thailand, it is absolutely essential from the safety and efficiency standpoints for its operators and engineers to always be fully trained on all system operations and procedures. By using the OmegaLand OTS for its operation familiarization training programs, PTTLNG is able to give its personnel repeated training for a full range of operational procedures as well as all situations that they can expect to encounter while operating and maintaining this terminal. Quality control is also essential at this terminal. The results of gas quality analysis and all associated data are entered into the laboratory instrument management system (LIMS) server in the laboratory room and all data are transferred to the CENTUM system, which generates a laboratory report allowing each operator to confirm their operating procedures and make any required adjustments to maintain high quality production. A portion of the LNG arriving at this terminal is transported in trucks to local LNG terminals. A terminal automation system (TAS) keeps track of all essential custody transfer data such as the truck number, destination, LNG amount, date and time, and customer name, and this data is all recorded and fed back to the production control system. So operators can recognize the total LNG amount versus gasification amount and they can easily visualize the total efficiency of this plant.